Jamie Grimm is a middle schooler on a mission: he wants to become the world's greatest stand-up comedian - even if he always seems to 'choke' in the spotlight. When Jamie finds out about a contest called the Funniest Kid on the Planet, he knows it's time to face his fears and enter. But are the judges rewarding him out of pity because he happens to be in a wheelchair, like his bullying cousin Stevie suggests? And will Jamie ever share the secret of his troubled past - and reason for his disability - instead of hiding behind his comedy act? In this highly illustrated book that's as heartfelt as it is hilarious, James Patterson dishes out heaps of jokes that will have readers rolling on the floor and cheering for more. 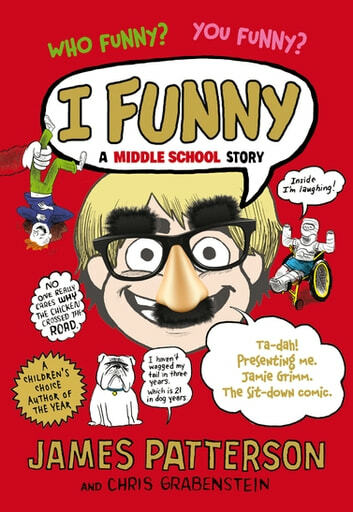 Jamie was really funny i like this book!!!!!!!!!!! I funny, another great middle shool. Very good, starts you laughing before you realise there's a story line. 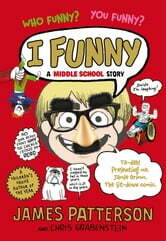 Its a great book and gets you laughing in a heartbeat. Jsmes patterson is an amazing author.